Jadzia met Polish Col. Władysław (Władziu to family and friends) Rylko in 1946, while working as a physician for the U.S. Army’s Military Labor Service, at the Civilian Guard Training and Replacement Center in Mannheim-Käfertal. 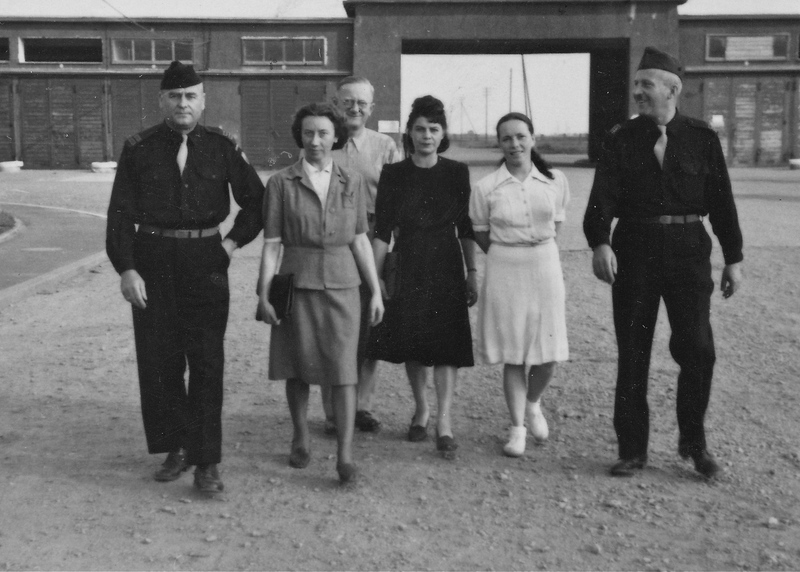 They married a year later. 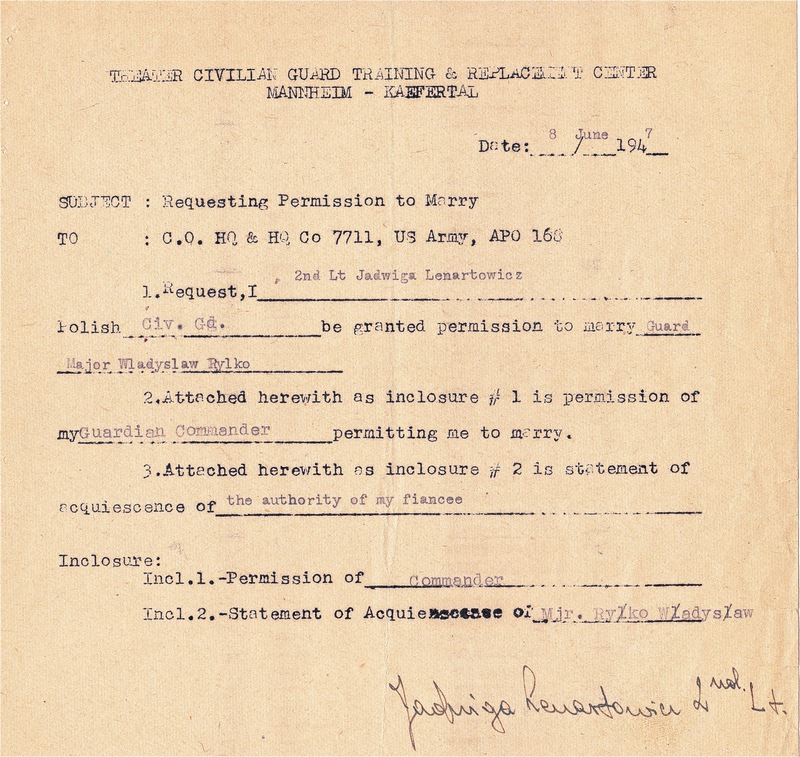 Over the next several years, Jadzia tried to maintain and document her medical skills through volunteer work and several paid positions with the U.S. Army. 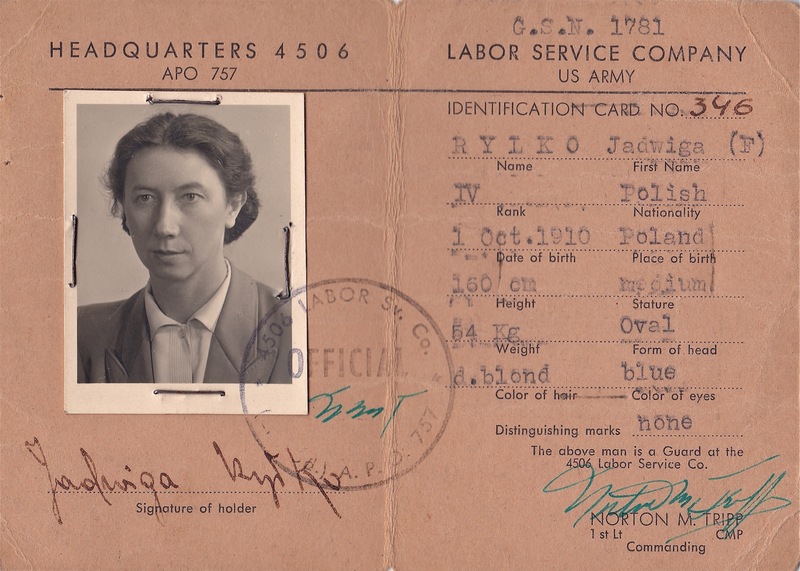 I was born in January 1950, and near the end of the same year, my parents began to prepare for our immigration to the United States. 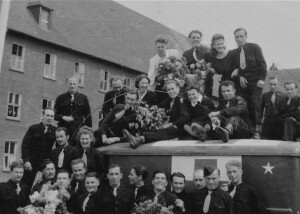 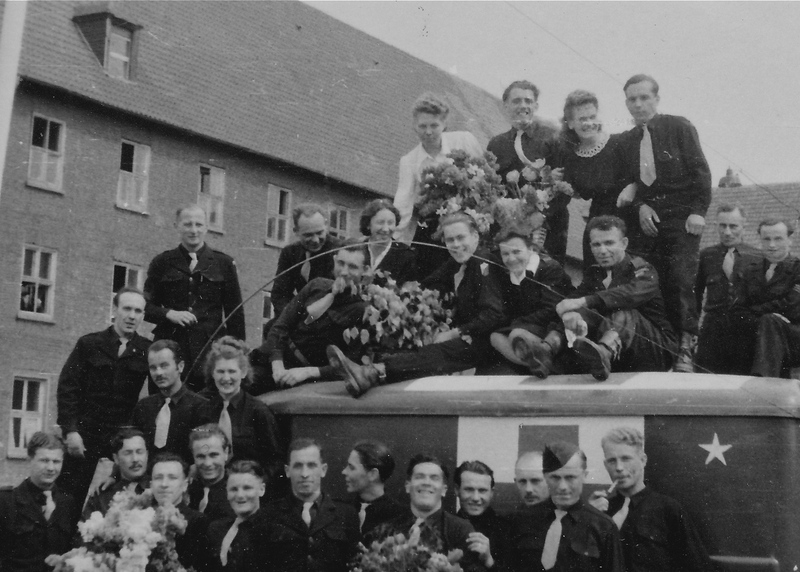 (258-259) Jadzia (on top of ambulance) with other first aid course instructors and graduates (Käfertal, 1946). 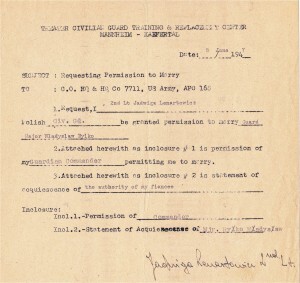 (264) Official request for permission to marry, submitted by Jadzia to her commanding officer in the U.S. Military Labor Service (June 8, 1947). 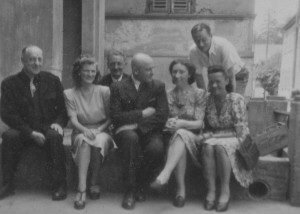 (264) Władziu and Jadzia (4th and 5th from left) with friends on their wedding day (Bad Soden, June 28, 1947). 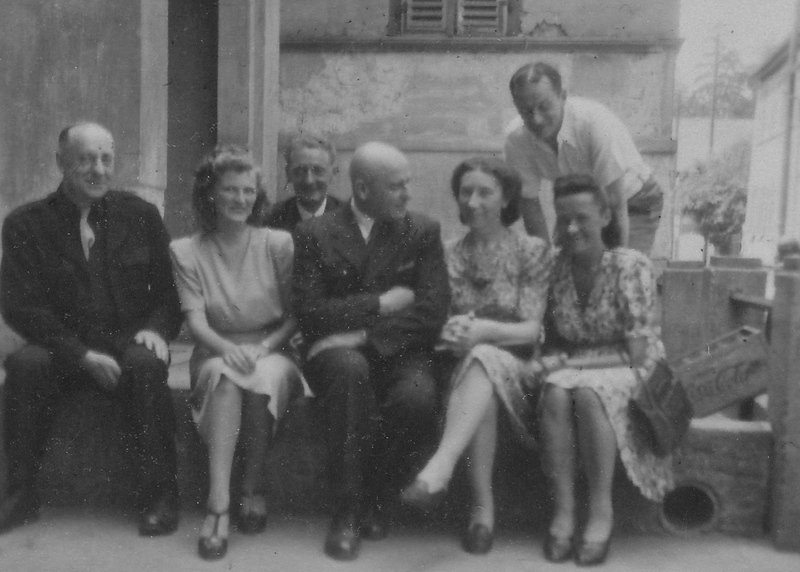 (255, 263) Jadzia (second left) with Władziu (first left), his brother Kazek (far right) and co-workers at the Civilian Guard Training Center (Käfertal, 1947). 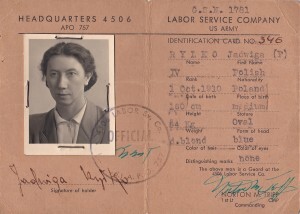 (277) U.S. Army Labor Service Company ID card, where Jadzia worked as a physician in the Polish dispensary (Höchst, 1949). 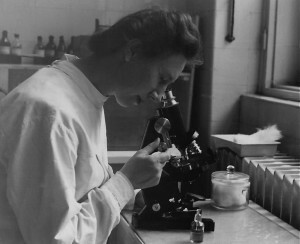 (277-278) Jadzia at the microscope in the Polish dispensary (Höchst, 1949). 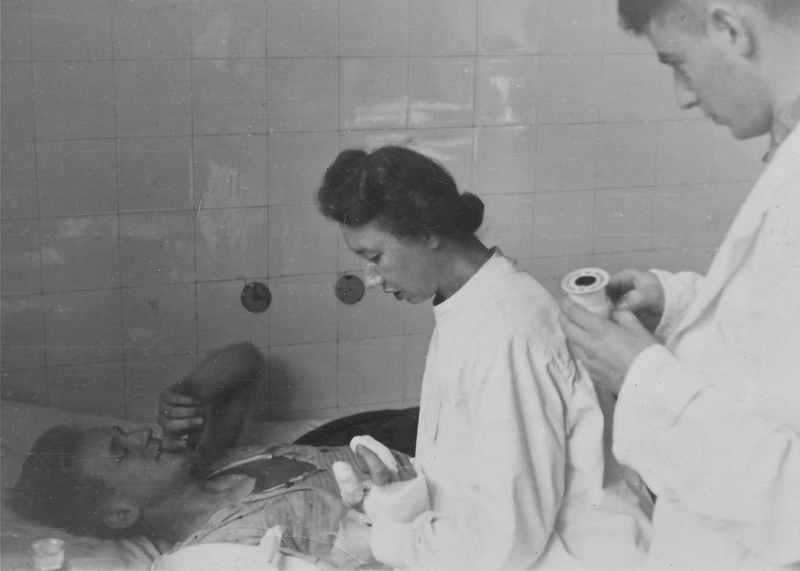 (279) Jadzia treating a patient at the Polish dispensary, assisted by a medical student (Höchst, 1949).